Taste honey harvested from deep within the Tarkine, Australia’s largest temperate rainforest. 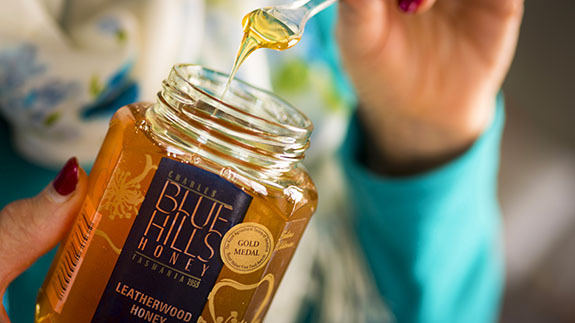 One such proprietor is Blue Hills Honey – a family based operation, typical of those found throughout Tasmania. 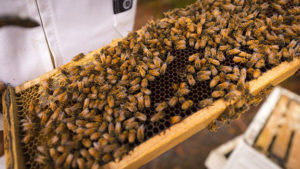 What all started as a hobby over 60 years ago, the Charles Family business of aviaries and bees now hosts nearly 2000 hives and exports their honey to many countries including Hong Kong, Singapore, Germany, UK, Japan, Russia and Vietnam. 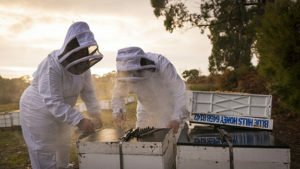 You may be able to taste Blue Hills Honey at many cafés around Tasmania. Video and above quote by Tourism Tasmania.